I believe there’s something big missing in Washington today: Courage. It takes courage to do what is right for your country. It takes courage to step up when you recognize things need to change, especially when it might be hard. I have seen that courage in James Mackler. He stepped up after 9/11 to serve his country. He stepped up again to run for the U.S. Senate against a popular incumbent because James saw our country heading in the wrong direction and decided to do something about it. He stepped back from the campaign after Gov. Phil Bredesen stepped forward, in unity, because he knows there is no time to waste defeating an extreme Washington agenda that hurts Tennesseans by valuing service to special interests over service to our nation. It takes courage to do the right thing, especially if that decision is a difficult one. James is a man of action and chose to start a political action committee called Believe in Service to help elect candidates like Governor Bredesen, who is running against an opponent who voted to end AmeriCorps. I am honored that James asked me to serve as the treasurer of this new organization and play a role in helping him help others. Believe in Service will support federal candidates who believe that we need to protect and expand service programs like AmeriCorps and Peace Corps that give young people opportunities to serve in their communities and abroad. The benefits of service are well known. Service builds character, allows young people to meet and work with a diverse group of people, gives us all a stake in our communities, and can help pay for higher education. James repaid his student loans with combat pay in Iraq and I used my combat pay from Vietnam and the GI Bill to help pay for law school. We know the importance of incentivizing service and giving young Americans across the socio-economic spectrum opportunities to give back to the communities they love. While politicians in Washington introduce harmful legislation, like North Carolina’s Rep. Virginia Foxx’s effort to end public service student loan forgiveness, there are others in the minority fighting back. Last November, U.S. Senator Jack Reed, D-R.I., himself an Army veteran, introduced the “America’s Call To Improve Opportunities Now (ACTION) for National Service Act” (S. 2029) that will help students pay for college in exchange for their national service. James and I are calling on candidates across the country to support this legislation. We are at a critical time in our democracy, and we need all of those seeking change to unify as James has done. He believes in service, and so do I. Let’s get to work. 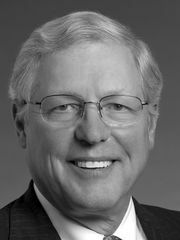 Bob Tuke is a proud U.S. Marine, former party chairman and one-time candidate for U.S. Senate.